1,125 tower crane accidents worldwide, over 780 deaths — main causation factor was exposure to wind. This article was first published by NationsBuilders Insurance Services, Inc. (NBIS), and is republished here with permission of the authors. © 2018 NationsBuilders Insurance Services, Inc. (NBIS). Wind: it might be invisible, but it’s still one of the most audacious hazards a crane operator can encounter. 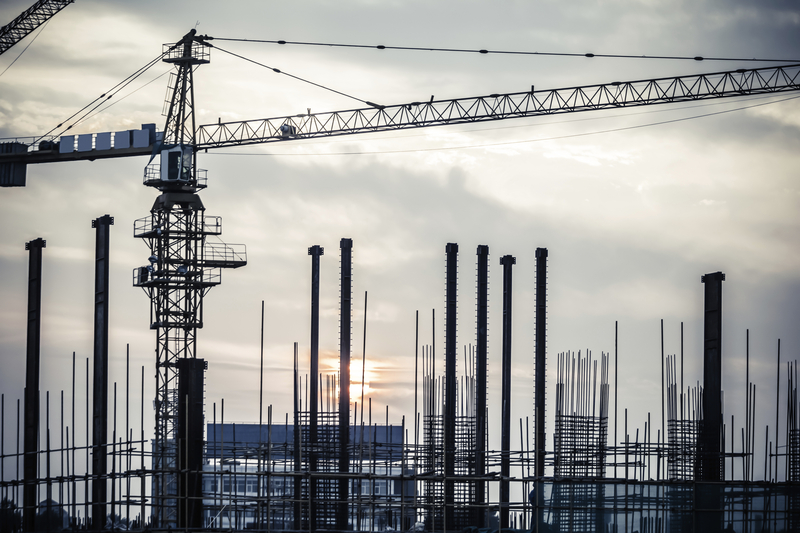 According to ANSI, “Between 2000 and 2010, there were 1,125 tower crane accidents reported worldwide, resulting in over 780 deaths.” One of the main causation factors in those accidents was exposure to wind, which caused 23 percent of all accidents. Wind presents critical daily challenges, especially as it pertains to controlling a load. A slight wind makes it challenging for an operator to keep a load steady. Load drift, load spin, swinging the boom, and holding the load in place are all factors the operator has to adjust for and work to control when wind is present. Taking that into consideration, Mark Krajci, the Product Manager for All-Terrain Cranes at Tadano America, has developed five practical points to consider when it comes to wind. Prior to any lift, check the latest weather reports for possible high wind conditions and plan accordingly. The Site Supervisor, the Lift Director and the Operator all have a part in this plan. Always have access to and know where the Beaufort wind chart and deduction notes are located in the operator’s manual and load charts. Never carry out lifting operations when the permissible wind speed has been exceeded. Know what this speed. If equipped, use the anemometer. In his role as Executive Vice President, Billy manages the relationship NBIS has with a number of industry associations and oversees various sales and marketing, claims, risk management, loss prevention, safety awareness, and accident investigation tasks. Billy was one of the primary innovators of the NBIS Risk Management Support System (RMSS), and he and his recognized team of experts have helped establish NBIS’s reputation as an industry leader. Billy is a well-known figurehead and thought leader who has been published many times over in magazines such as American Cranes and Transport, International Cranes and Specialized Transport, Crane Works, and Lifting and Transportation. He has also been acknowledged in the book, “Crane and Derricks,” and is a widely sought-after public speaker. NationsBuilders Insurance Services, Inc., “NBIS,” a Delaware corporation headquartered in Atlanta, Georgia, is a leading provider of risk management products and services to commercial heavy equipment operators across 50 states. As a full-service provider program, we deliver custom program insurance options to agents/brokers, reinsurance support to our partners, claims adjusting/claims investigation and risk management tools to all parties involved to achieve lowest cost outcomes for our customers.